Thomas Hughes was born in Sydney on 19 April 1863, the third son of Irish immigrants John Hughes of Kincoppal, Elizabeth Bay, and his wife Susan, née Sharkey, and younger brother of John Francis Hughes. 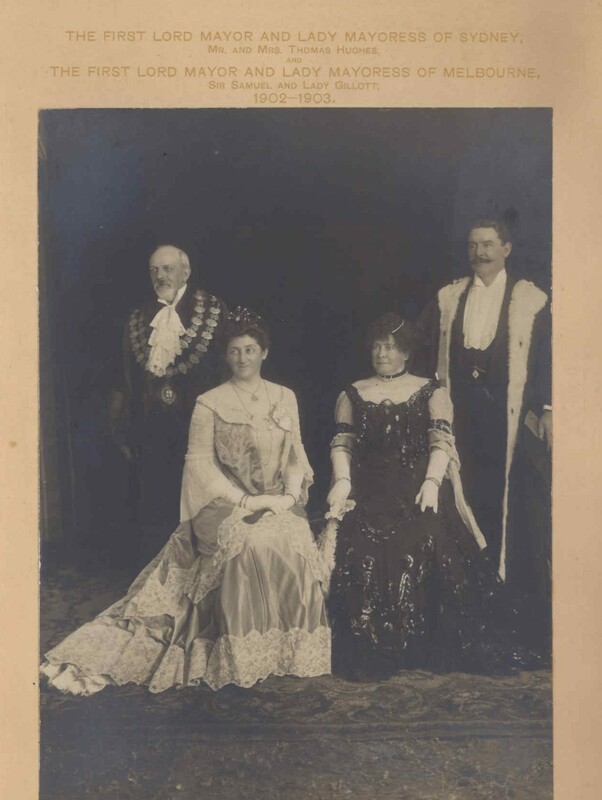 On 19 October 1887, in Sydney, he married Louisa Gilhooley (d.1948), the daughter of physician James Charles Gilhooley and younger sister of his brother’s wife. He died on 15 April 1930, survived by one of his three sons. He was buried at Waverley Cemetery after a Roman Catholic service at St Canice’s Church in Darlinghurst. Like his brother, Hughes was educated in England, matriculating from London University in 1880. In Sydney in 1882 he was articled to T M Slattery. He was admitted as a solicitor and joined his brother in practice in 1887. He became chairman of several companies and was a director of the Commercial Banking Co of Sydney, Australia Hotel Co Ltd, and Amalgamated Wireless Ltd.
Hughes supported Federation and was Premier Reid’s secretary at the Federal Conference of Premiers in Melbourne 1898. He was a Councillor at the Women’s College, at the University of Sydney. With Sir James Graham he organised a Citizens’ Vigilante Committee to control the plague outbreak in 1901. He was a Member of the NSW Board of Health, 1902-03 and 1907-08, and a Foundation member of the Universal Service League in World War 1. Hughes was elected MLC, 1908-30 and was President of the Royal Commission on Sydney’s Water Supply, 1902–03. He was a member of the Royal Commission on the Decline of the Birth-rate, 1903-04 and the Royal Commission on City Improvement, 1908-09. Sir Thomas Hughes was created Knight Commander of Bath in 1915 and Knight Commander of the Papal Order of St Gregory in 1915. 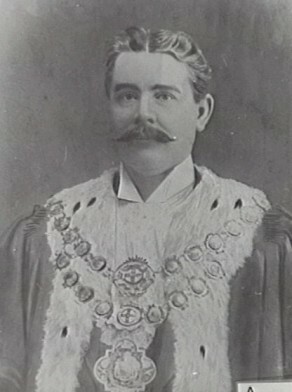 Thomas Hughes was Alderman for Bourke Ward, 5 September 1898 to 1 December 1912. 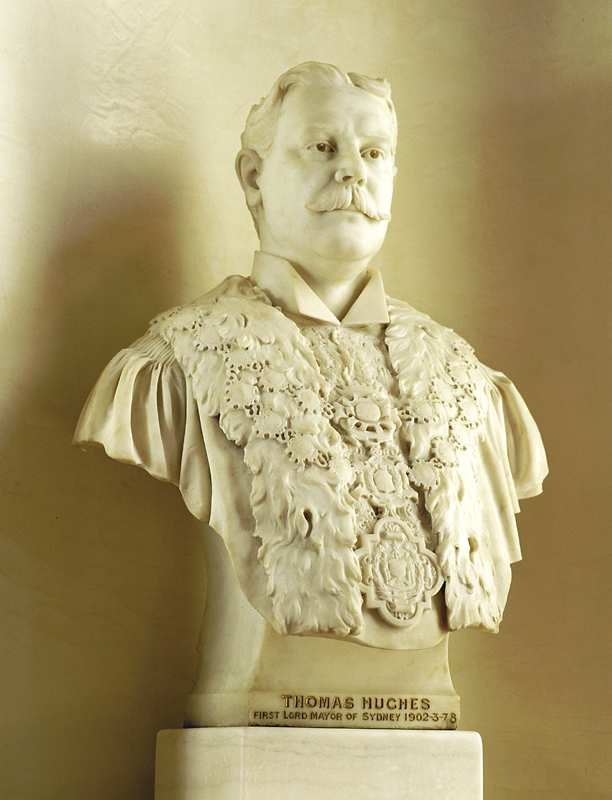 An advocate of municipal reform, Hughes was the last Mayor, 1902, and the first Lord Mayor, 1903 and 1907-08. Between 1899 and 1912 he was a member of the Electric Lighting Committee and the Finance Committee, serving as its Vice-Chairman in 1901.In 1901 he served on the Labour Advisory Committee. Peter Spearritt, ‘Hughes, Sir Thomas (1863–1930)’, Australian Dictionary of Biography, National Centre of Biography, Australian National University, http://adb.anu.edu.au/biography/hughes-sir-thomas-7078/text11687, accessed 16 October 2013.